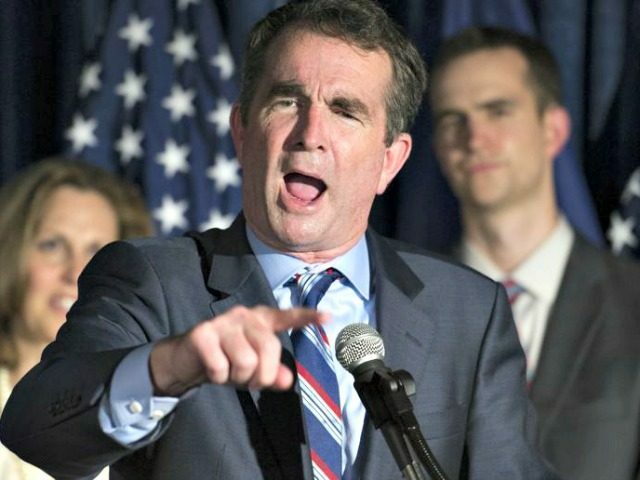 The Washington Post editorial board gave a scathing review of Virginia Democratic gubernatorial candidate Ralph Northam for his view that students from different backgrounds should be administered different tests. On Saturday, the board wrote it discussed with Northam – Virginia’s current lieutenant governor – how he would proceed with public education if he wins the race for the state’s top post over GOP candidate Ed Gillespie. Particularly concerning was Mr. Northam’s view that because children are diverse, “coming from different backgrounds and different regions,” he’s “not sure that it’s fair” to give them all the same test; they shouldn’t be penalized, he said, for the environment they come from. The suggestion that some students should be required to pass one type of assessment, while others are given a different (presumably more rigorous) one, is disconcerting. There is no question that some children come to school handicapped by circumstances not experienced by their better-advantaged peers, but children do better when there are high expectations. Creating different expectations for children does them no favors; it just allows adults to escape responsibility. To borrow a phrase from the history we revisited with Mr. Northam, it is the “soft bigotry of low expectations.” Once again, schools and the grown-ups who work in them will be excused and applauded as they graduate poor black students who are not prepared for work or college. Virginia joins Alaska, Nebraska, and Texas as the four states that never adopted the Common Core standards. Minnesota only adopted the Common Core English Language Arts standards. Within five years of their launch, Common Core’s mediocre academic standards are in shambles. States are running away from them, other states are trying to hide their participation in them by changing their name, and almost half of the states in the nation have abandoned the federally sponsored consortia – with more states showing signs of following them … Unfortunately, the Common Core zombie is still around, and it will take another few years and another several million lost children before its death is acknowledged by all. The “Common Core standards were never validated before being published, and every serious piece of research that has analyzed them since found them lacking,” Wurman also wrote. In 2016, Obama-era education secretary John B. King begged for “patience” with the release of the dismal National Assessment of Educational Progress (NAEP) test results. King explained the dire situation was due to schools still “retooling” to Common Core. Wurman, however, asserted Common Core is the only reasonable explanation for why test results are declining. We should remember that Common Core was imposed on the nation under the excuse of expecting college readiness from all students. The fraction of college-ready 12th graders dropped since 2013, from 39% to 37% in math and from 38% to 37% in reading. Even more interestingly, NAEP scores show that less than 50% of students taking pre-calculus class by 12th grade are deemed college ready. Only when students take a calculus class by grade 12, more than 50% of them reach college readiness by high school graduation. Perhaps this is a good time to remind everyone that Common Core – in its fullness – does not prepare students even for a full pre-calculus class, as Jason Zimba, one of its key authors, attested. In October 2015, the NAEP results found that – for the first time since the early 1990s – math scores of fourth and eighth graders dropped. In addition, eighth grade reading scores declined, while those of fourth graders remained flat. These data were especially significant because most of the fourth and eighth grade students administered the biennial assessments live in states that have implemented the Common Core math and English Language Arts standards that, by this time, were supposed to have begun to improve student skills in these core areas and shrink the achievement gap between white and minority students. As Wurman noted, though several states “repealed” Common Core, most of them simply “rebranded” the same standards with a different, local flavor name.